Minors may also enter, only with permissions from a parent or guardian. 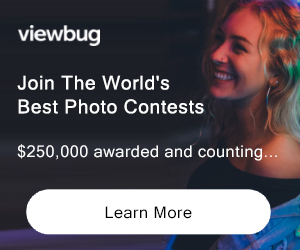 3rd Prize: $500 USD Camera Voucher Not eligible to enter? - Find contest where you are. in relation to the promotion of, or any matter incidental to, the Competition without financial compensation.